Place, Belonging and School Leadership offers research findings, analysis and accessible tools for further research inquiry that are designed to contribute to the development of professional learning communities. 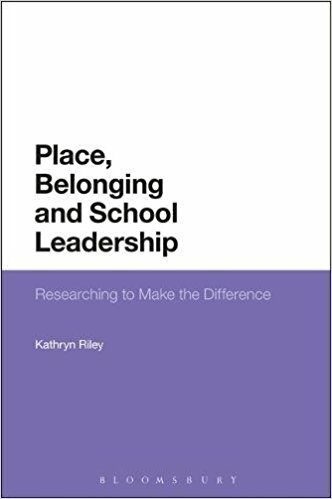 Researching about place and belonging, Kathryn Riley argues, gives new teachers powerful insights into children's experiences in the classroom and playground, and encourages them to review and change their professional practices. It provides young people with a vehicle to voice their experiences, grow their skill and talents, and develop a sense of agency. Place, Belonging and School Leadership helps school leaders to be 'place-makers' who make 'belonging' work for pupils from many different backgrounds. It builds trust, develops the knowledge and capacities of staff, and harnesses the creative potential of young people to explore, reflect and act. Riley offers an invaluable leadership tool that strengthens school cultures and nourishes leadership throughout the school.